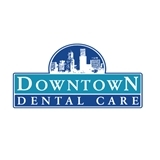 Downtown Dental Care (Portland) - Book Appointment Online! Here at Downtown Dental Care in Portland, we strive to provide the best in service and comfort to every patient who walks through our doors. Our downtown Portland office offers complete preventative care services, affordable cosmetic dentistry, emergency dental work, periodontal treatment, and restorative dental care. Our professional and caring dental team make your smile and your comfort our first priority. Awesome Dentist! Dr. Kirk really worked with my kids to make them comfortable and pain free during their dental work. We drive 30+ minutes to go to this office and highly recommend checking them out.